The Flog it! experts visit The Ulster Folk and Transport Museum, Croombe in South Worcestershire, Crowcombe Court in Somerset and Bletchley Park to lay their hands on some unusual items to take to auction. 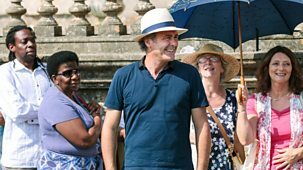 Plus Paul Martin investigates the historic landscape of Mount Edgcumbe in Cornwall. 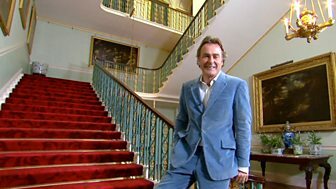 Most recent episodes of Flog It! 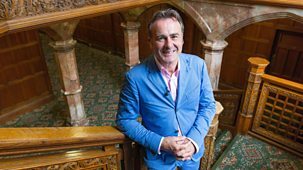 Most popular episodes of Flog It! Antiques series. Flog It! is in Somerset at Europe's biggest naval aviation museum - The Fleet Air Arm Museum, housed at HMS Heron in Yeovilton. Paul Martin hosts from Bolton, where experts Phillip Serrell and James Lewis will be offering valuations. Paul also visits the last remaining temperance bar in the country. Paul Martin and the team visit the historic village of Saltaire, where experts David Barby and Michael Baggot find a Moorcroft vase and a silver knife and fork. Paul Martin and experts Adam Partridge and Anita Manning are at Crathes Castle in Aberdeenshire. Anita hones in on some Wemyss pottery with a local interest.